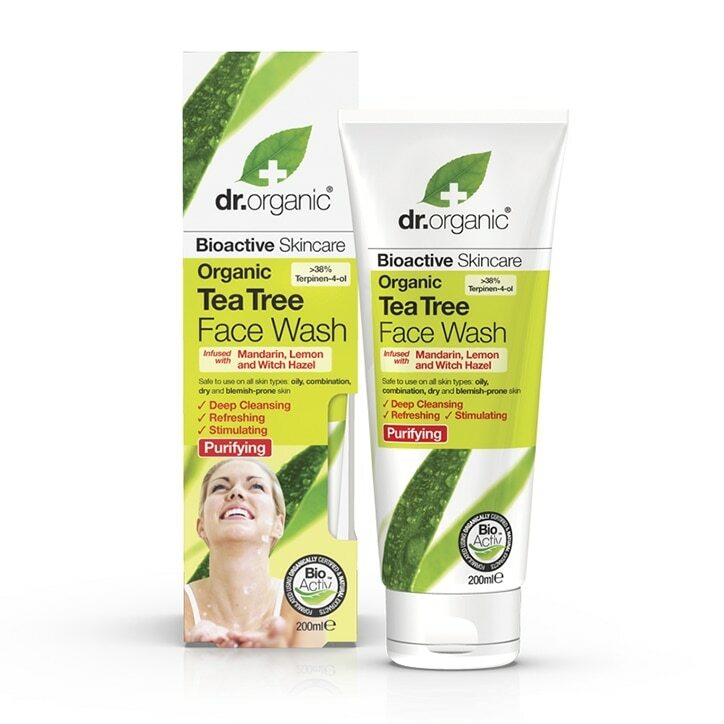 Dr Organic Tea Tree Face Wash is rated 4.6 out of 5 by 69. Rated 5 out of 5 by GLeslie from Only face wash that doesn't make me break out . I've been using this for around 3 years now , I was recommended it in-store when I started to get spots due to stress and harsh face washes, I have been using it ever since. It's the only thing that will clear my skin in a matter of days and I can always notice if I haven't used it in awhile.